Look what I found at the health food store last night! Spring garlic aka green garlic. 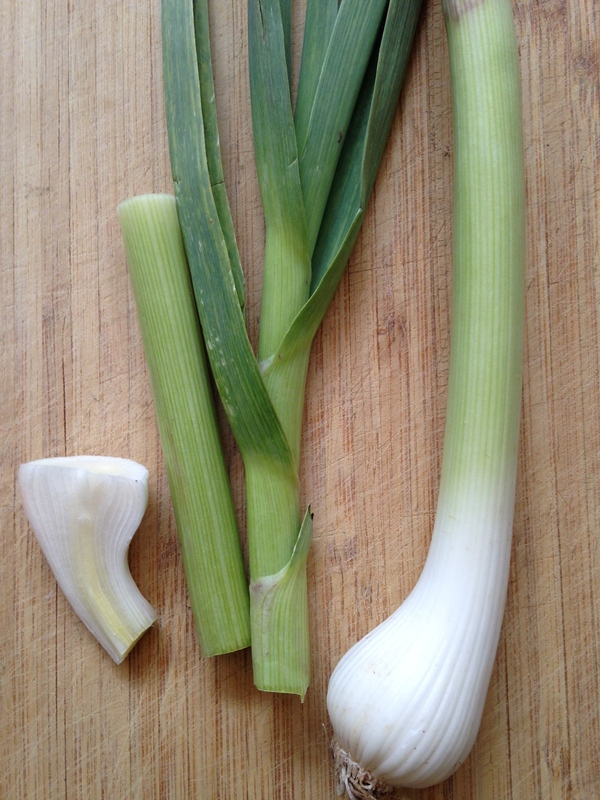 Doesn’t it look like a small leek or a monster scallion? It is a much more delicate version of garlic and one of my favorite ingredients to cook with! I like to use it when I am looking for more subtle flavors. Sometimes garlic can be, well, too garlicky! I am going to make soup later (it is still cold here) and this is going right in. It would have been nice in my chickpea noodle soup yesterday. Just strip off the outer layer and the cut off the tough tops. Use the bulb and the tender green stalk. Cut any way you want for the dish you are making!